Personality is the collection of qualities and traits that are observed as in character or behavior distinguishing one person from another. Understanding our own personality helps us to discover our purpose in life, helps to bring out our suppressed desires and wishes and also we learn our strengths and weaknesses. It also helps in knowing the better side our partners and friends and find out the reasons why they behave so differently to a given situation. At Ask-Oracle.com we offer a resource to the personality traits of the zodiac signs, These personality descriptions are based on sun signs. Your sun sign is determined on the basis of your date of birth. There are twelve zodiac signs you can see below. To know yours or someone else’s personality description of zodiac sign just choose the sun sign below. Definately uni and definately one 😉 works everytime with a spa as in shower bath and also movie show meal and talking but no point of talking as he is a C see so i agree with this one really good show at showing his affection love nature care and also being passionate very mystice and mysterious having a few secrets and even so being intresting and out of the ordinary not so much talkative about stories but simmilarities so im thinking serious but serious. This is Rajesh from Astroved .. I love the informations about Zodiac signs which you given. But, I am looking for to find out, where can I find Full Astrology predictions for 2013 at ask-oracle.com? Can anyone please instruct me? I really want to know…where i will stand in the next 2 years? I have 1daughter, and I really want a boy? I am 23weeks pregnant, the dr couldn’t c what the gender is of the baby, I just Want to know will I have a boy now??? My birth date says I’m a cancer but after reading all of this I think its impossible for me to be anything else than a Sagittarius. Hi i am laxmidhar i love a girl in my collage i want to marrage this girl my cast is s.c but the girl cast is general . I would like to know if I Will have a relationship a relationship with Libra man’s with a birthdate of October 1-10, 1978. I myself was born on the December 11,1980.
i would like to ask how to stay a long and respective relationship with a scorpio man with a birthdate of november 11, 1975? 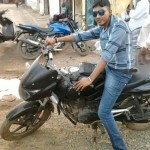 I need aGirl friend for direct relationship with in bangalore or tamil nadu.